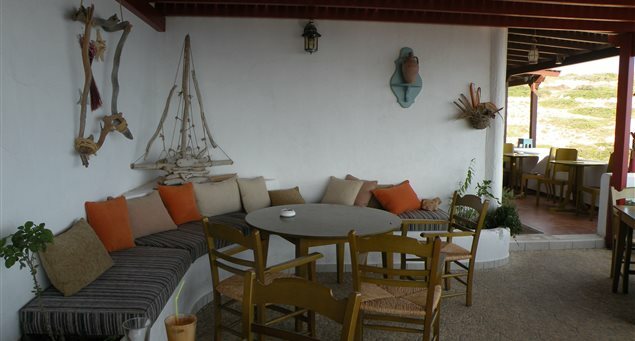 Most of the food on Donoussa is based on traditional home-style Greek cooking. Fresh fish such as octopus, calamari, sardines and smelts are staples, as is the catch of the day, served on platters with fresh greens and a little drizzle of olive oil and lemon (known as ladolemono) on the side. And of course, there is the myriad of meat, vegetarian and hot dishes served direct from the pot and pan known as ths katsarolas and ladera. 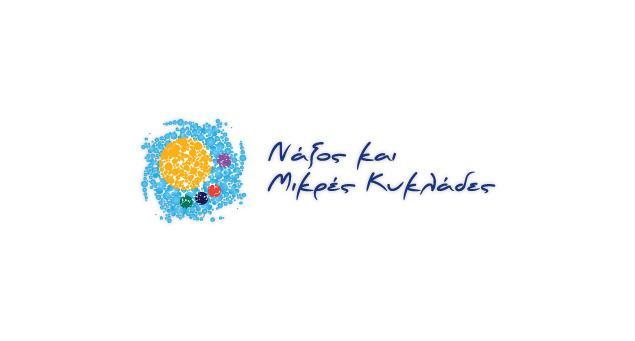 Expect to find and enjoy stews, beans, stuffed peppers and tomatoes (known as yemista); salads and dips such as melitzanosalata, tzatziki; Greek salad known as choriatiki, and the summer pre-siesta must of méze with ouzo or locally produced spirit, raki. 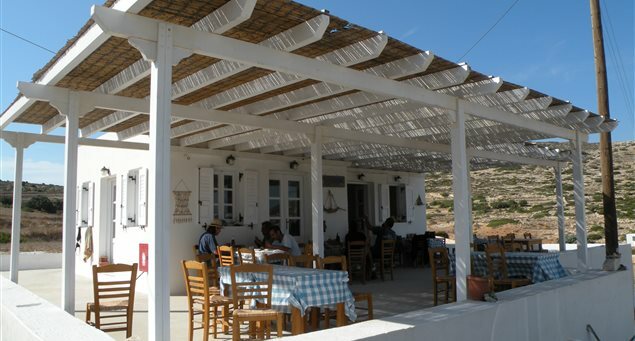 Breakfast and coffee as well as evening cocktails may be enjoyed at the popular café-beach bars at Kedros, just a few kilometres from town, at the port’s Sxantzoxeros and Corona Borealis at Stavros. 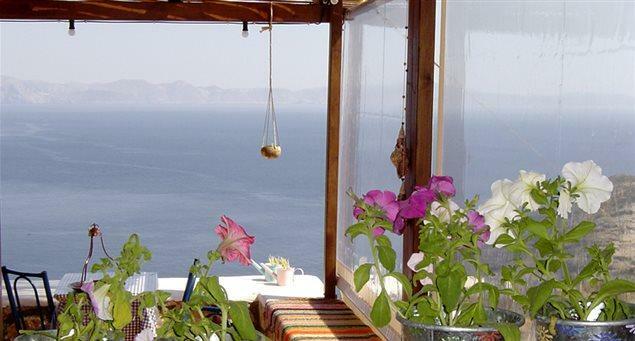 On Donoussa, most of the tavernas are located in the little main town known as Stavros. Kyma (open during the summer) serves a variety of mageireuta or dishes cooked in a pot, while Kapetan Giorgis (open year-round) serves fish such as calamari and and octopus and grilled meat. 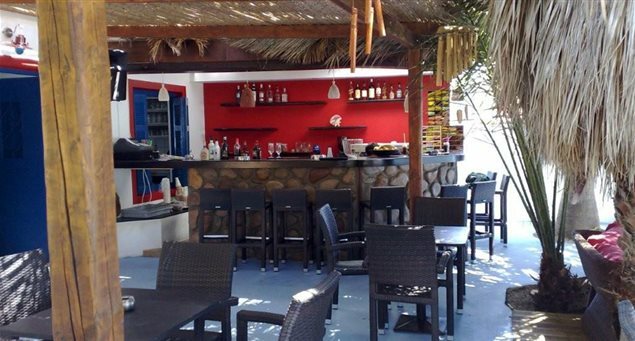 At Stavros, tavernas, Meltemi and Iliovasilema serve traditional Greek food. 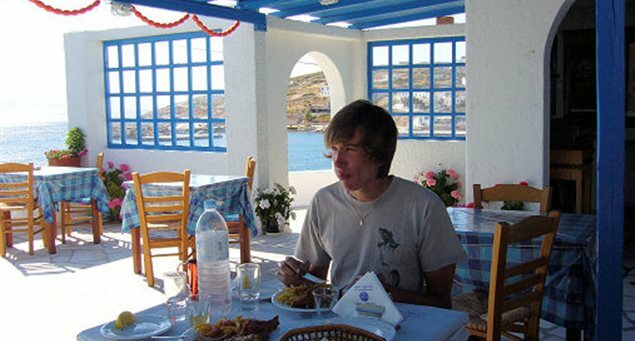 A souvlaki can be enjoyed at Ippokampos. On the beach, Corona Borealis, is a favorite place that doubles as a restaurant in the afternoon and happening beach bar at night. A few minutes and kilometres away (5km) by car, in the village of Mersini, Kori tou Michali adds a contemporary touch to traditional dishes. 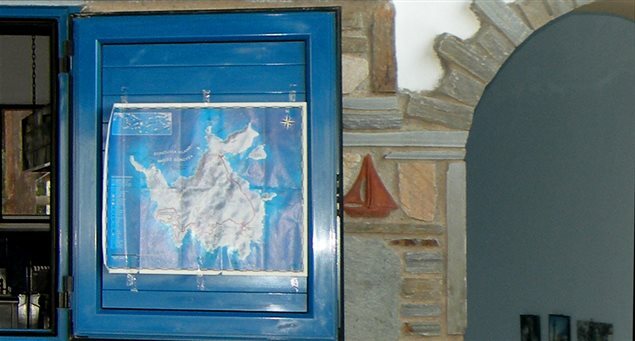 Also in Mersini is the popular Tzi Tzi taverna, also serving traditional Greek cuisine. 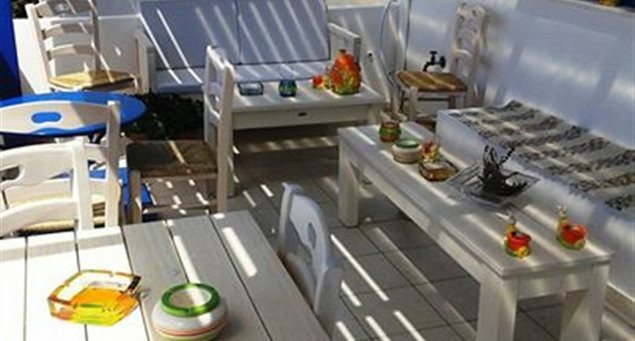 In the picturesque bay of Kalotaritissa, is Mitsos, a classic destination dining taverna run in the summer by a family that has a restaurant in Athens in the winter.